General Robert E. "Dutch" Huyser, who headed the Military Airlift Command at Scott Air Force Base from 1979 until his retirement in 1981, died of heart failure Monday (Sept. 22, 1997) at the David Grant Medical Center at Travis Air Force Base, California. He was 73. In military circles, General Huyser was known for his patriotism and loyalty to those who served under him. He was considered a founding father of the development program that eventually produced the McDonnell Douglas C-17 Globemaster, the Air Force's newest cargo plane. General Huyser's 38-year military career began in the Army when he was drafted in 1943 and entered the aviation cadet program. He flew B-29s in the Pacific in World War II, and in the Korean War. He flew B-52s and tanker support missions in the Vietnam War. In January 1979, General Huyser was sent to Iran as President Jimmy Carter's envoy, in an effort to stabilize the country. As deputy commander of the U.S. European Command, he knew many of Iran's top military people. He arrived just before the collapse of the government of Shah Mohammad Reza Pahlavi, which was followed within weeks by the takeover of the Ayatollah Khomeni. In his book, "Mission to Tehran," General Huyser described the mission as "one that started with desperation and disunity and ended in disaster," but he praised the performance of U.S. personnel. In a speech at Scott in 1986, he called his mission "a strange experience." He said he knew it would be impossible to keep the shah in power. Some of the shah's supporters blamed him for the government's failure. General Huyser was a member of the Airlift/Tanker Hall of Fame at Scott. The local chapter of the Airlift Association is named for him. After his retirement, he moved to Southern California and worked as a consultant on military matters. In 1982, he was awarded the George Washington Honor Medal by the Freedoms Foundation of Valley Forge, Pa., for a guest editorial on patriotism published in the St. Louis Globe-Democrat. Burial will be in Arlington National Cemetery with full military honors. Among the survivors are his wife, Wanda, and their two daughters, Cheryl and Christine. 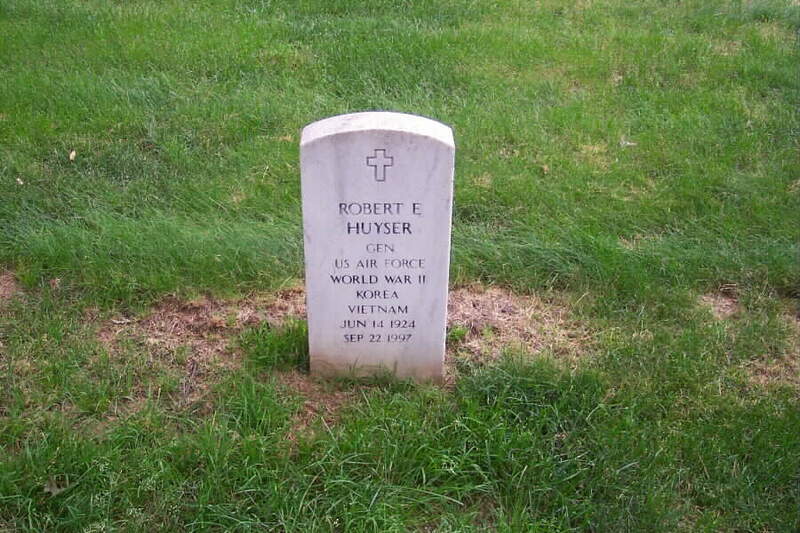 General Huyser was buried in Section 30 of Arlington National Cemetery. General Robert E. Huyser was commander in chief of the Military Airlift Command with headquarters at Scott Air Force Base, Ill. As commander of a specified command he is responsible to the president and the secretary of defense through the Joint Chiefs of Staff for the planning and performance of airlift missions during wartime, periods of crisis and peacetime exercises. He directs the management of all strategic and tactical airlift forces worldwide to insure operational support to unified and specified commands engaged in military operations. During routine peacetime conditions airlift service is provided by the commander of the Military Airlift Command, through the secretary of the Air Force, in his role as executive director of the Single Manager Operating Agency for Department of Defense Airlift Service. He is also responsible for Air Rescue, Air Weather, Aeromedical Evacuation, and Combat Documentation and Audiovisual Systems throughout the world. General Huyser was born in 1924, in Paonia, Coloradp, where he graduated from Paonia High School. He later attended Ouachita College at Arkadelphia, Arkansas, and Modesto College at Modesto, California. He was drafted into the Army in April 1943 and in 1944 entered the aviation cadet program. In September 1944 he graduated from flying school and received his pilot wings and commission as a second lieutenant. During World War II he flew B-29s in the Southwest Pacific area. In May 1945 he was assigned as a B-29 pilot at Clovis, New Mexico. From August 1946 to May 1947, General Huyser was an aircraft commander in the 307th Bombardment Wing, MacDill Field, Flproda. He next become an aircraft commander in the 93rd Bombardment Wing at Castle Air Force Base, Calif., and in 1950 was assigned to the wing staff as chief of training. He returned to the United States in September 1953 and was assigned as chief, Combat Crew Section, Headquarters Fifteenth Air Force, March Air Force Base, Calif. In February 1957 he became chief, Training Division, for the 92nd Bombardment Wing, Fairchild Air Force Base, Washington, and later was named director of operations. General Huyser returned to Headquarters Fifteenth Air Force in January 1959 as assistant chief and then as chief, Combat Operations Branch. In July 1960 he become chief, Operations Plans Division. He entered the Air War College at Maxwell Air Force Base, Alabama, in August 1962. 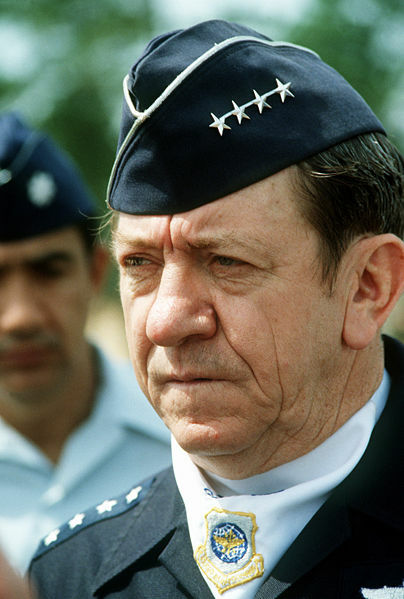 After his graduation in July 1963, he served as chief, Concepts Branch, Operations Plans Division, Headquarters Strategic Air Command, Offutt Air Force Base, Nebraska. In July 1966 he assumed duties as vice commander of the 454th Bombardment Wing at Columbus Air Force Base, Mississippi, and in December 1966 he assumed command of the 449th Bombardment Wing at Kincheloe Air Force Base, Michigan. He was promoted to general September 1, 1975, with same date of rank.